Meet like-minded Business Owners, SMEs, Entrepreneurs, Consultants and Founders. We believe that when something good happens in our business, something should happen in the world. Find out how being part of our community helps you be part of our Impact. Learn skills across a wide range of business disciplines shared by passionate owners engaging to share what they love. Welcome to Business Strategy, The community created to connect Entrepreneurs, Owners, Start-ups, Investors and people at all stages of their business journey. 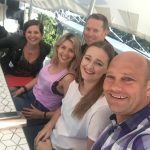 We are all about effective business networking, helping founders, entrepreneurs and owners connect and grow. Business Strategy NZ is proud to be a part of B1G1, an organisation for global giving. As our community expands, and contributes connection and resource, we help other communities in need globally. 1. SME owners in growth mode seeking new funds for busy expansion or investment. 2. Home owners seeking to invest in real estate, build, buy, renovate, downsize or support Developers seeking buyer. funding for their new projects. Passionate, Purpose-Led Entrepreneurs, Owners, Investors and all those on their business journey creating an amazing life & getting paid doing they love. Spreading carefully allocated bricks over the workshop table in the sunny Event Space at Bizdojo Takapuna, participants at our April Customer Connect workshop got a unique opportunity to explore their business direction & attraction strategies.